This hose is primarily designed for use in food processing plants, dairies, packing houses, bottling plants, breweries, canneries, and creameries. The high-quality EPDM compounds allow this hose to be used in a temperature range of -40°F. to +200°F. This hose is primarily designed for use in food processing plants, dairies, packing houses, bottling plants, breweries, canneries, and creameries. The high-quality EPDM compounds allow this hose to be used in a temperature range of -40°F to 212°F. NBR-Nitrile blend Class A ORS for various soaps, oils, and chemicals. Special synthetic compound-Class A ORS. flex/impulse life, than the conventional lightweight pressure washer hose. The cover is highly oil resistant for longer life in the field and includes a non-slip fabric impression finish. This unique impression finish cover provides excellent adhesion, coupling retention, flexibility, and significant abrasion resistance. Stocked in cut lengths and reels. Available in black, blue, and grey cover. Pressure-Flex Series hose has been engineered to withstand abrasion, high operating temperatures, and various oils, chemicals, and soaps. This highly flexible hose offers working pressures as high as 6000 PSI. A special braid design provides 50% better bend radius, longer flex-impulse life than conventional lightweight pressure washer hose. The cover is highly oil resistant for longer life in the field and includes a non-slip fabric impression finish. Available in a selection of colors. Stocked in cut lengths and reels. Series 4104 is single braid and Series 4200 is two braid. Special synthetic compound. Blue, smooth cover. Series 4150BL Pressure Washer hose is ideal for applications where a non-marking, high-pressure hose is needed. 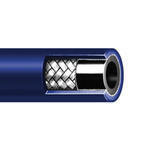 Constructed with a single wire braid that provides 3000-4000 PSI working pressure and blue non-marking cover. Used extensively in applications such as food plants and carpet cleaning. 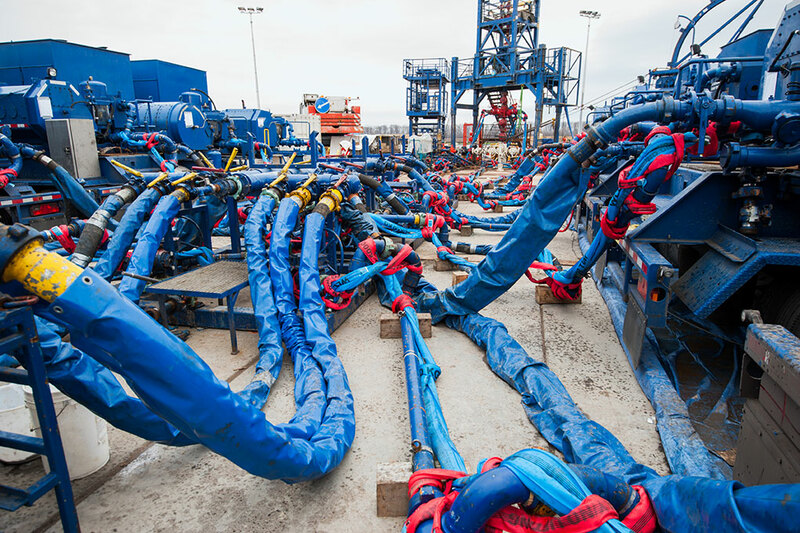 Pressure-Flex “Armadillo” Series Hose has been engineered to withstand high abrasion, high operating temperatures, and various oils, chemicals, and soaps. This highly flexible hose offers working pressures as high as 5,800 PSI. A special braid design provides 20% better bend radius, longer flex/impulse life, than the conventional lightweight pressure washer hose. The cover is highly oil resistant for longer life in the field and includes a non-slip fabric impression finish. This unique impression finish cover provides excellent adhesion, coupling retention, flexibility, and is 30% more abrasion resistant in its class. 3/8 5,800 PSI NBR-Nitrile blend Class A ORS for various soaps, oils, and chemicals. Embossed layline -40°F to +250°F (-40°C to +121°C). 275°F intermittent (135°C) 3/8"
A rugged 4000 PSI rated water jetting hose with polyester braid. Available in standard black. Other colors available with minimum run. Polymeric Elastomer Bonded Cobra Tuff-Skin Polyurethane- Black Single Polyester Braid -40°F to +135°F (-40°C to +57°C) 4000 PSIG White letter ink jet 1/8" through 5/8"
A high pressure water jetting hose utilizing aramid fiber reinforcing. Slim profile and light in weight. Available in 3/8″ and 1/2″ sizes. Standard black cover. Also available: Series 4660 1/2 inch 6000 PSI working pressure. 4000 PSIG White letter ink jet 1/2"
High pressure, multipurpose sewer cleaning hose designed for maximum durability in cleaning sanitary service lines. Sold only as assemblies coupled male pipe rigid each end. Not for hydraulic applications. Std lengths – 400 ft, 500 ft, 600 ft, 800 ft.
High pressure, multipurpose sewer cleaning hose designed for maximum durability in cleaning sanitary service lines. Sold only as assemblies coupled male pipe rigid each end. Not for hydraulic applications. Std lengths – 400 ft, 500 ft, 600 ft, 800 ft. Available in 3/4″ and 1″. High pressure, multipurpose sewer cleaning hose designed for maximum durability in cleaning sanitary service lines. Sold only as assemblies coupled male pipe rigid each end. Not for hydraulic applications. Std lengths – 400 ft, 500 ft, 600 ft.